Plot: The main story of 'After the Fire' is from the unique perspective of Moonbeam, a 17 year old teenage girl that is recounting her experiences in life. The interesting thing about Moonbeam though, is the fact that she has been raised within a cultist group of fanatics who believe that the only way to gain entry into heaven, they must follow insane rules and punishments that introduce self-restraint and control to ones self. This all changes when Moonbeam's world collapses after a long chain of events that acted as catalysts to her ultimate release into the open world where 'The Servants of the Serpentâ' dwell. All of these are portrayed within the book I am reviewing. They have been carefully interwoven to provide for the best effect of the audience. Moonbeam is a cult-influenced 17 year old girl whose parents were both exiled and she was forced to stay with her brothers and sisters. Luke is another boy in the Legion's Army of God, who is fanatically about his beliefs to the extent that he whips himself. Doctor Hernanadez is the therapist who is assigned to Moonbeam after she has been brought to the medical institution. Agent Carlyle is the main FBI agent assigned to Moonbeams tragic case and works with her and Doctor Hernandez to uncover the truth of the great fire. 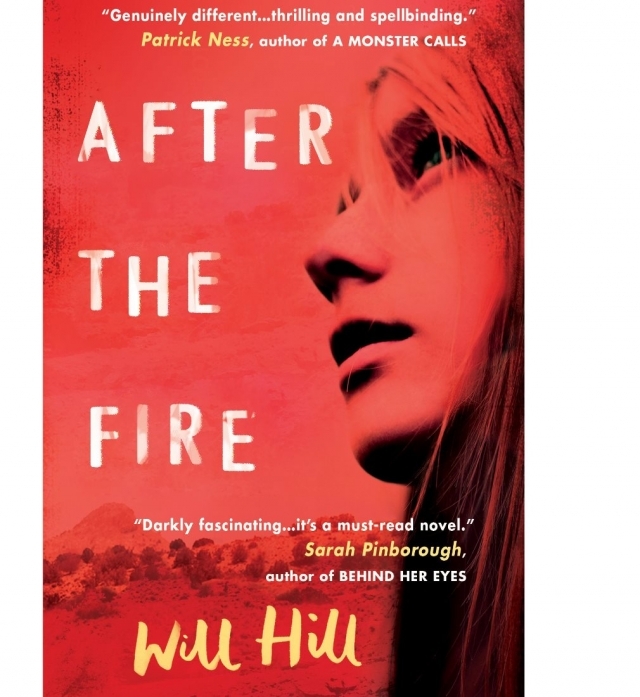 My Opinion: In my opinion 'After the Fire' was an extremely well-written and detailed book giving a fictional twist to a real life event that took place. It think this helps us as people to emphasise with people who are within difficult situations such as cults and other problematic circumstances. The fact that this book was written from the perspective of a teenage helps me feel more emotive when listening to her recounts. Another think is that from using a young teenage the author was a broader spectrum of techniques usable such as innocence and newfound adult roles within society. The storyline of After the Fire is intriguing. Experiencing the encounters of Moonbeam through her eyes is quite astounding. Moonbeam is a complex character, even after years of indoctrination at the 'Lord's Legion', her perspective and reasoning are very logical and balanced. The interruptions (in caps lock) from Father John also remind the reader of the experiences Moonbeam went through which is also very interesting. The interactions between Moonbeam and Doctor Hernandez are very human and, especially near the beginning, very careful. The bond between them is something readers can relate too and, although the circumstances are extreme, is something younger readers can particularly empathize with. The craft of the book is enticing, skipping between past and present reflects the story that Doctor Hernandez is trying to piece together and the life Moonbeam is trying to recover. Historically, the book related to several cults but not a specific cult or experience which is why it is more appealing to readers. The shocking truths revealed later in the book are truly shocking and the book is truly chilling in that sense. I would recommend this book to most people, especially those who want a particularly impactful read. The book was absolutely phenomenal. The writing was spectacular and the characters were all unique and unforgettable each one getting development and feeling more and more realistic as the plot progressed. My only issue with the book is the overuse of cliff-hangers. Almost every chapter ends in a cliff-hanger which can be quite jarring. Overall this is probably the best books Ive ever read and this is definitely one of my favourites ever. After the fire is an intriguing and thought provoking read highlighting social issues I had never really considered. It sensitively covers matters such as indoctrination trauma and cult leadership. The layout of the book in a unique flitting between events leading up to and during aftermath of the core tragedy whilst also putting emphasis on contributing factors and consequences of other minor yet still devastating events. The emotions of the lead protagonist Moonbeam are portrayed in delicate yet stimulating manner that stay with the reader for good long time while after finishing the novel. Hill demonstrates Moonbeams stubbornness and determination in equal proportion the fragility and distress the fire had caused, this was unexpected to me because I initially thought because of the differences in age, gender and other factors between the character and the author the depth of emotions Hill would reach would be basic and limited. Immediately I realised the book would be different than my original perception when the opening chapter was taken from the end of Moonbeam's story during the inferno and showed the damage and devastation that was to come. Before I started to read the book I assumed that the dramatic and influential events would be minimal and lacking in detail however my perception was quickly altered by the opening pages. By commencing the book in this way it conjured many questions about how they ended up in this situation and also allowed me to make predictions about the personality of not only the main protagonist but also the other characters including shock, disgust and sympathy at certain moments in the novel I physically gasped from the image of the of the horrors Hill created. After the fire presented taboo subjects without sugar coating the truth allowing the events to be more hard hitting because their issues raised are not only current and relevant but real. The plot is engrossing and absorbing and the use of description is startling beautiful and deeply fascinating. Overall this book is a gripping and powerful story for survival and is full of suspense and packed with unpredictable twists that will leave you eager to reach the end . A real page turner that is the definition of a book that can't be put down and the shocking themes will have a lasting impression long after the final page. I didn't enjoy the book because it wasn't a genre that I really like. It was more gruesome than I expected it to be so I didn't really like it. It was also not enjoyable or a good book to get into. I didn't quite understand some of the words in it. I also didn't like it because it was very boring. It was also very traumatic and not a book I would read again. This is a dark story that forces you to question society. The central character Moonbeam lives in a religious compound. Moonbeam is forced to question all her beliefs and suffers PTSD as a result of her experiences. The book helps you question religion's relationship to power without hostility. After the fire was a well written book that had feeling and passion within it I understood the main plot of the story and really got a feel for the history. Unfortunately, I disliked this book for certain reasons but feel like many others would find reading this story highly enjoyable! Was it the story you didn't like? I liked the story and found the characters included very interesting but I just felt the story needed a bit more grip throughout the book such as it did at the beginning talking about the attacks from 'the servants of the serpent' in which the people went through. But I understand as it'sbased on truth that it won't be as exciting as your normal fiction books which I am used to. So maybe it's the history I don't like or that event in time. What did you think about the history in the book? : Like I said I enjoyed the story and find the history surrounding the book very interesting I just think I needed more history more facts and figures for me as a reader to enjoy the book more but I know that the book was also based on the peoples experiences not just facts but based a bit more on phycology! I also did some light research about the events I do believe that the information surrounding the events is very limited so maybe this is why there is less facts and figures in the book. Have you got anything else to say about the book? : Other things about the book are all positives although this book was not for me,I am sure, it is a great read for those who prefer it! I did highly enjoy the phycology side to the book as I find it fascinating really getting a feel for what the character was going through at certain points in the story the character, in this case Moonbeam, was a particularly good character for especially me to read as she is a young girl similar to my age!